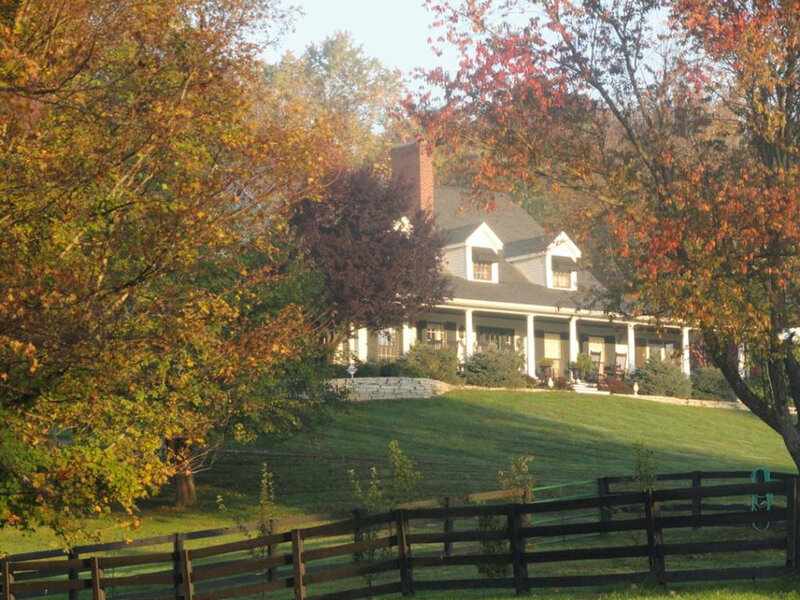 The Welsh Hills Inn is historic Granville Ohio's award-winning bed and breakfast inn nestled on 15 idyllic wooded acres in the beautiful, rolling Welsh Hills amidst the equestrian and alpaca countryside. Many have called it "THE" place to stay in Central Ohio. Over 5,600 sq. ft. of accommodations with wide plank heart-of-pine floors, large guest rooms and suites, luxurious bedding, and spacious bathrooms. Antiques, oriental rugs, and an extensive collection of eclectic, original artwork adorn the Inn and guest rooms. Since opening the doors of The Inn in September 2010, we've been privileged to host guests from all 50 states and 27 countries from around the globe. We feel pretty blessed - and a bit amazed! 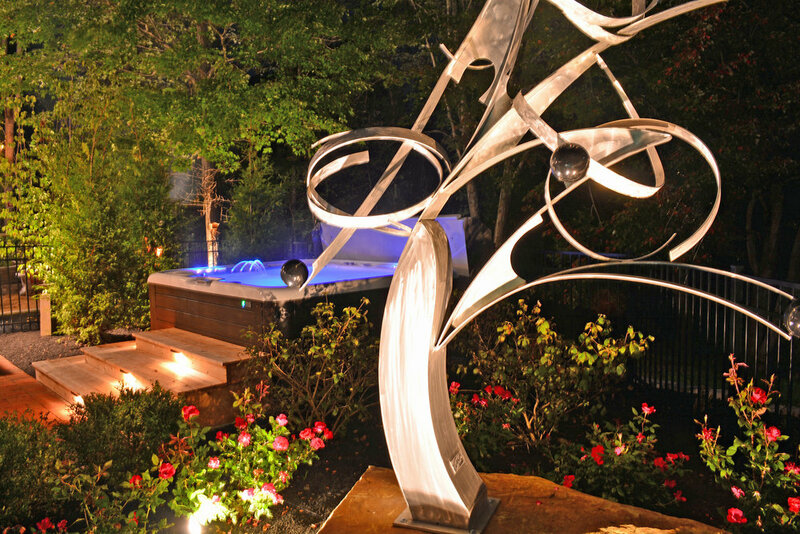 In May-early fall, relax and enjoy the beautiful, outdoor gardens. Kick back in the Adirondacks and enjoy a roaring fire in the outdoor stone fireplace nestled next to the woods. Explore the wooded hiking trails, stocked fishing pond, lighted clay bocce ball court, target range, and clays shooting. Professional massage services include aromatherapy, tension relieving hot river stone therapy, Swedish relaxation, deep tissue massage, and reflexology in the secluded privacy of The Inn's Trem Pell Studio Spa - just a short, one minute walk from your room. Wireless, high-speed Internet inside and outside of The Inn. 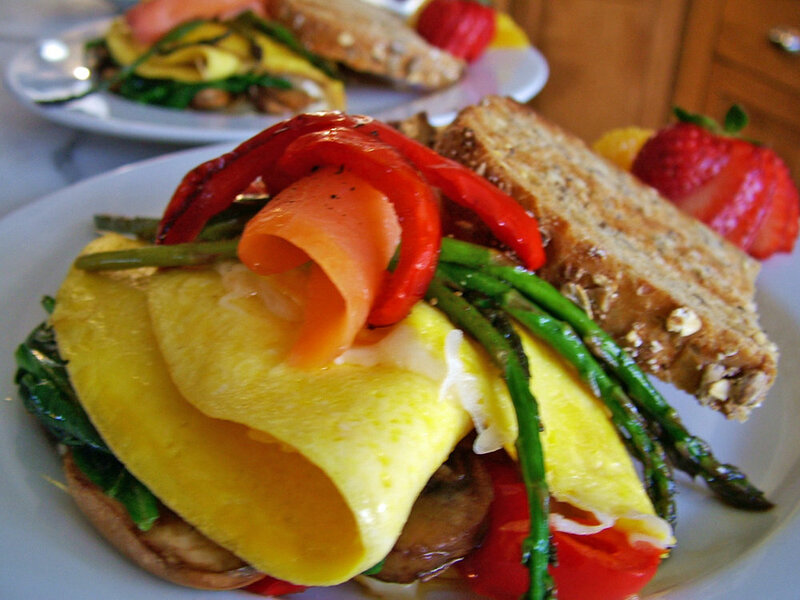 Savor our Signature home-cooked breakfasts to start your day. Relax to a simpler time and feel the stress melt away at The Welsh Hills Inn B&B in Granville Ohio. 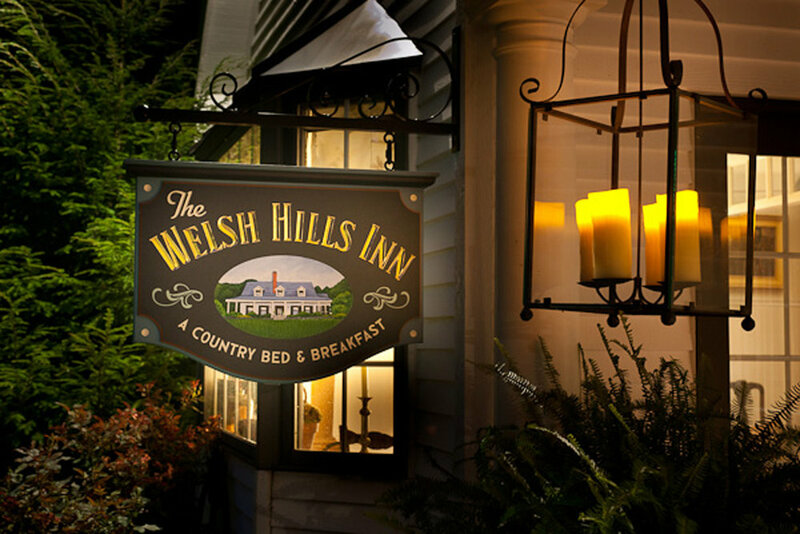 Since 2013, The Welsh Hills Inn has been awarded TripAdvisor's coveted Travelers' Choice Award as one of the top 10 B&B/Inns in the U.S. and the World - representing the top 0.1% of properties from around the globe. In 2015, TripAdvisor named The Inn the #1 B&B/Inn in the nation and, in 2017, #4 in the World. In both 2013, 2015 and 2017, we were honored as Ohio's B&B/Inn-of-the-Year by the Ohio Hotel and Lodging Association. In 2016, the Explore Licking County Convention and Visitors Bureau bestowed us with their annual Impact Award naming us their Lodging Partner-of-the-Year. In 2017, The Inn was accepted into BedandBreakfast.com's Diamond Collection, an exclusive group of professionally inspected and guest-reviewed luxury inns. Each Diamond Collection property participates in a comprehensive annual inspection program, maintains top consumer reviews on BedandBreakfast.com, and offers the amenities and services required for a top-quality guest experience. In March 2018, BedandBreakfast.com named The Welsh Hills Inn as one of their Top 25 B&Bs and Inns in the World - the first time The Inn had received this prestigious recognition. Most recently, Ohio Magazine’s readership chose The Inn in their 2019 Reader’s Favorite as the Best B&B/Inn. The Welsh Hills Inn has wonderful, unique indoor and outdoor spaces to accommodate your needs. Planning a getaway weekend in picturesque, New England-like Granville to celebrate a special occasion? Let us help you with dinner reservations, fresh flowers, professional massage services, hand-made chocolates, a special bottle of wine, target or clays shooting at The Inn's range, bike rentals, a beautiful bouquet of flowers, or whatever special touches you might need for your stay. The Inn is located just minutes from Denison University, a short drive to Kenyon College in Gambier Ohio, and about 30 minutes to downtown Columbus Ohio, Ohio State University, and the John Glenn Columbus International Airport. We look forward to having you as our guests at The Inn and to many return visits throughout the years to follow! Book now by clicking here. Sit back and enjoy a magical tour of The Welsh Hills Inn from the perspective of two of our guests, Amy and Pete, who celebrated their 10-year anniversary with us at The Inn in September 2018.